Digital marketing is the practice of marketing online using digital resources — and it’s taking the business world by storm. Driving sales and building brand awareness are the top two digital marketing priorities for this year, consisting of 51.3% and 48.4% respectively. Strategies include a mix of social media, SEO, and content marketing. But are all of your efforts contributing to success? Let’s look at some of the marketing strategies you’re doing right and wrong so that you can optimize your ROI and start seeing exponential growth. While it’s encouraging to have a huge Facebook following, lots of likes, retweets, and shares, you don’t need to obsess over this because these things are not necessarily contributing significantly to lead generation. This is due to the fact that a massive percentage of social interaction is largely superficial — meaning many people who like or engage on social media don’t actually click on the link or read through the material. This article explains that Google also does not take social rankings into consideration when indexing a web page, which should be a relief to those businesses struggling in the realm of social media worrying about SEO. Your social strategy should instead focus on generating a small, engaged community of followers that are actually interested in your product or service, resulting in conversions. The more you can identify with your target audience, the more effective and creative you can be when posting content. It’s important to utilize social media outlets but it is even more important to utilize them effectively then to simply have active accounts with lots of followers. Measure the strength of your social media strategy by website clicks, thoughtful comments, and repeat engagers. Make note of which posts are generating interaction that results in ROI as opposed to social murmurs. Conversions should be your end goal. I can’t stress enough the importance of identifying your competitors and keeping tabs on their behavior. The only way you can grow as a digital marketer is to analyze what strategies are working and not working in similar industries. While it’s okay to use others’ success as inspiration, be careful not to follow your competitors too closely. The path to success is paved with creativity — you need to stand out in your industry if you’re going to persist and thrive. 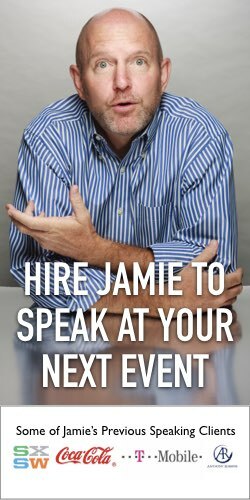 There are tons of places where you can really stand out from the competition, starting on the most basic levels. Your website is a great place to start. While in this highly technical age it can be presumed that most companies have websites, an alarming statistic states that 29% of small businesses do not have a website. Make sure you have a well-designed, functional, and updated website as a part of your marketing strategy. Be creative everywhere you can — for example, starting with your domain name. Pick a phrase that is catchy and easy to remember — you can register for a unique domain name with this helpful tool. When selecting a website platform, don’t just follow the crowd. Research your options and select a platform that is most appropriate for your industry. Will you be heavily relying on a blog? Make sure the platform you select is equipped with all the necessary tools and plugins for the most effective blogging techniques. Is creating killer content your strong suit? This is a great article on the subtle art of content marketing. Probably as essential as implementing an effective digital marketing strategy is effectively measuring your campaigns. The goals of marketing campaigns are to generate leads, increase exposure, or to drive website traffic, but how do you know if something is working if you’re not measuring your results? You’re simply driving blind. If you are already doing an effective job of analyzing your marketing resources, keep it up. This is not a one and done process — marketing analytics are a constant necessity. The industry is changing, things are trending in and out, and you’re going to constantly need to adjust your strategy according to these changes. Google Analytics is a powerful tool to help you in this process — although there are many out there to choose from. Do your research and select an analytics system that works for your business, something you can easily learn to use and understand. One major flaw of marketing managers is thinking they’ve finally figured it all out. Maybe you’ve been experiencing a period of consistent success and have found a strategy really working for you. That’s fantastic — but don’t get complacent with your research. Continue to educate yourself on market trends so that you might be able to prevent a slow down before it happens. In the marketing world, you’re always a student, because consumer trends are always changing. Stay up to date on current events, keep an eye on your competitors, and always be open to new viewpoints. 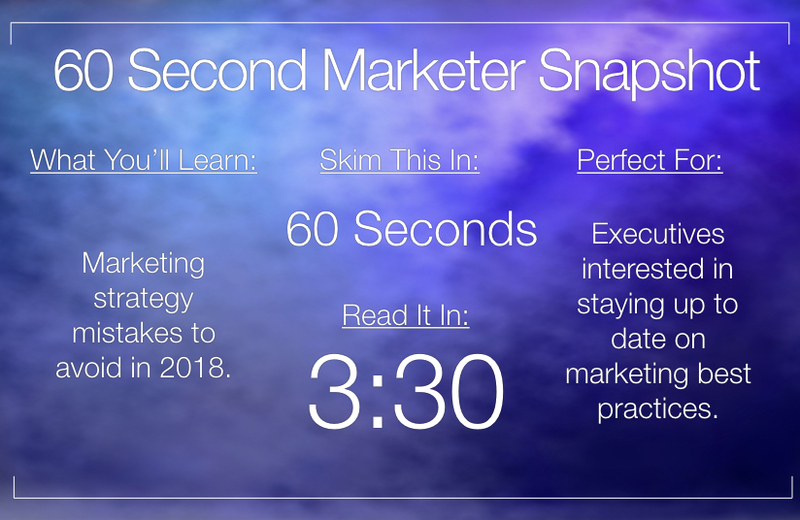 The 60 Second Marketer is an online magazine read by hundreds of thousands of people around the globe. Some of the posts are provided by our sponsors. 100% of our posts have been reviewed, edited and approved by the 60 Second Marketer. Come on in and enjoy the ride. The free content on our blog is brought to you because of the kindness of our sponsors. 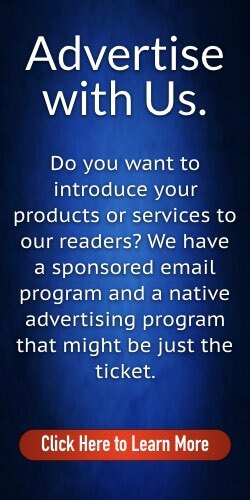 Some guest posts are provided by those sponsors. 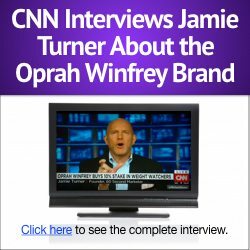 Jamie Turner also acts as a brand ambassador for various brands.